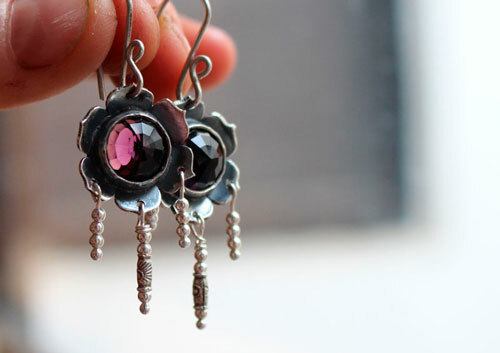 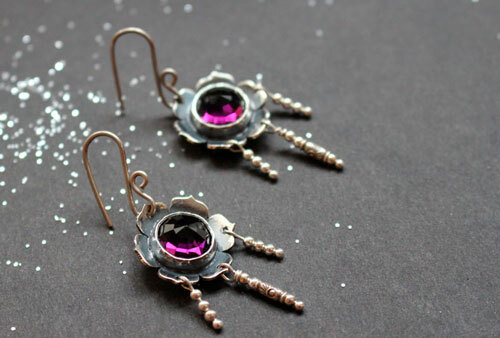 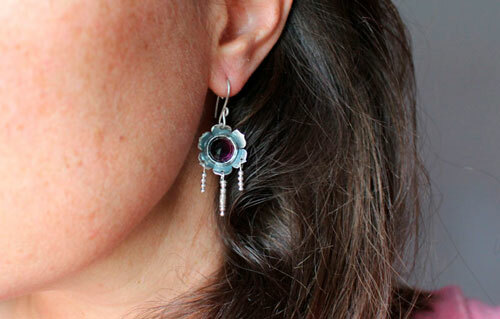 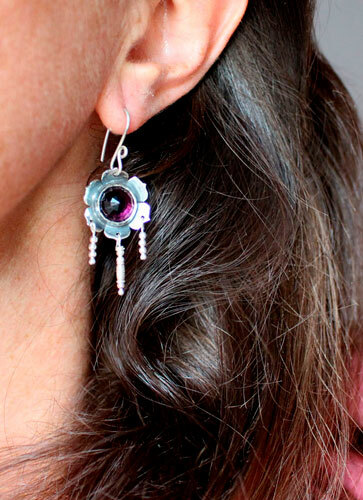 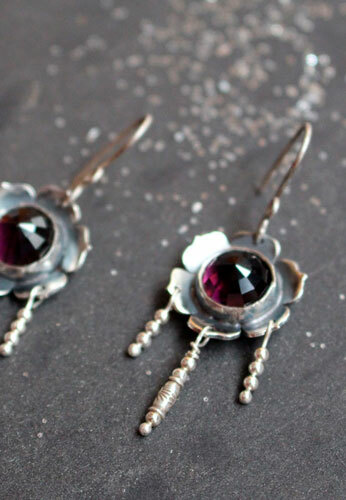 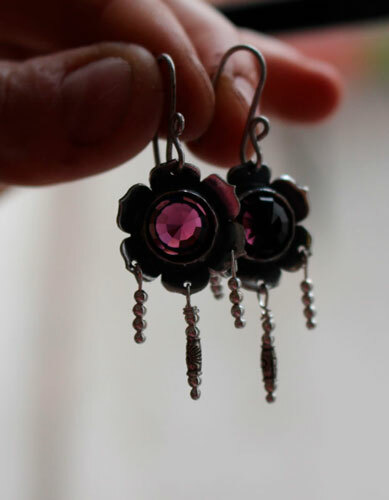 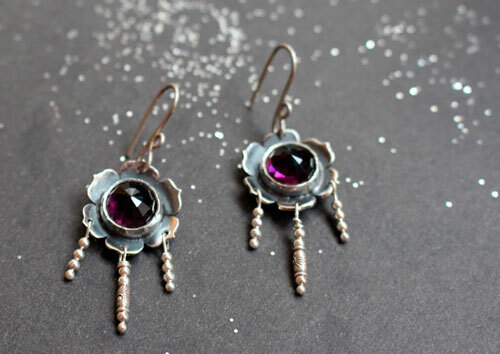 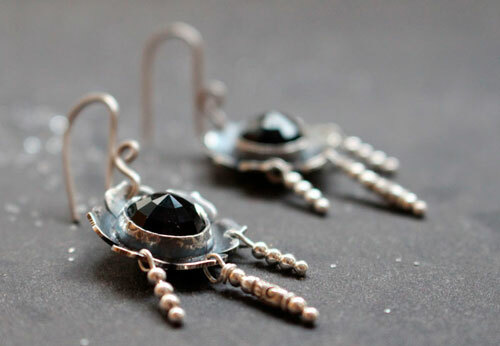 This pair of earrings is made for the ones who love flowers. 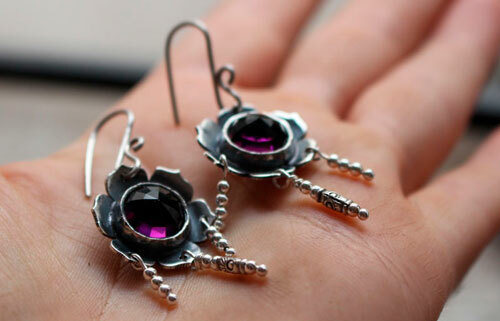 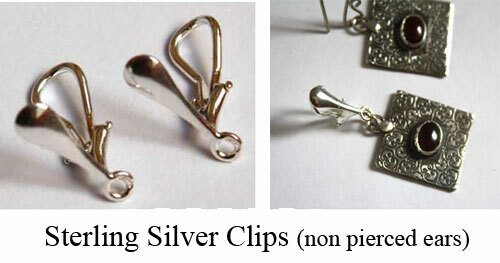 Two small sterling silver flowers were patiently hand sawed and embossed to welcome two amethyst color glass cabochons. 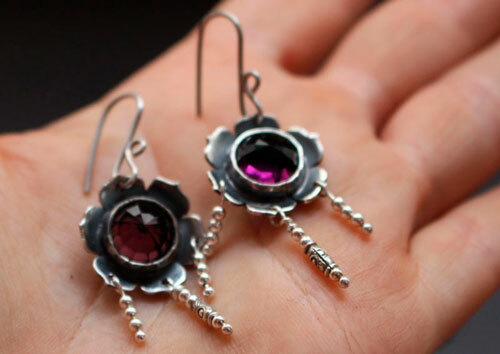 The back of the flower was also cut to let the light shine through the cabochon and let you see this beautiful purple color. 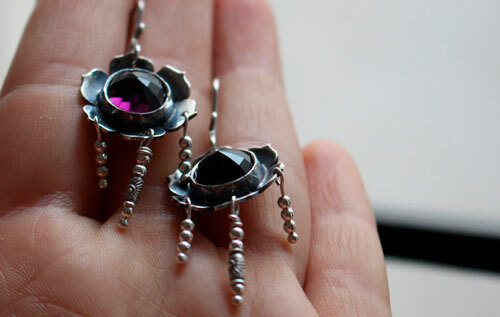 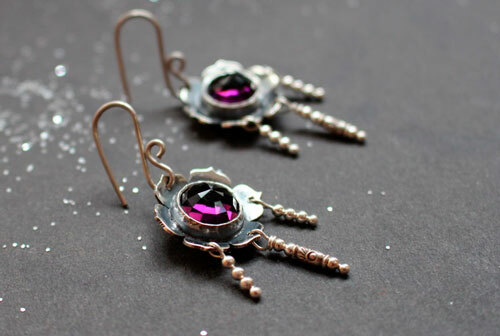 Tag: earrings, sterling silver, flower, glass cabochon, violet, transparent, stone, oxidized, plant, botanical, vegetal, boho, delicate, romantic, symbol, wedding, engagement, baptism, wedding anniversary, purple.